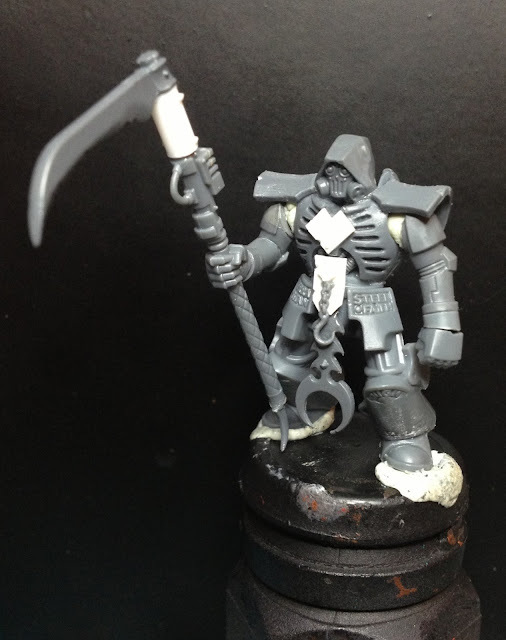 I think that the basic figure is great, but the post of his scythe arm is a bit like he is saying "hey, here is my scythe". Maybe he should be either resting it on the ground, or holding it in a way that implies he is ready to strike. Well, it IS resting on the ground - the scythe's got a sort of spur if you look closely - but you have a point. I think I'll change that to something a bit less subtle. A spear tip or something like that. Jeff, you might also want to consider flipping the scythe blade around to have it pointing backwards. Another subtle change that might "improve" the general feel. Of course, it might not, but I figure it's worth a shot. 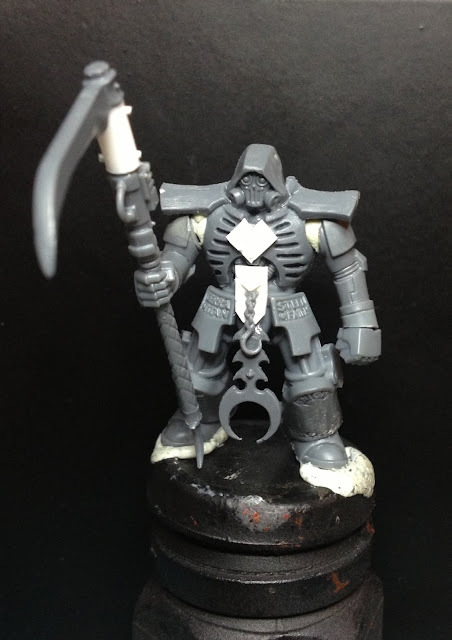 Interesting conversion, kind of looks like a sentry or guardian in its current pose. It'l be interesting to see how you incorporate the nails and spikes. I think once theres some more details to draw the eyes it'l really become something special.